UPDATE 7:15 AM—The deceased man has been identified by a police source as Luis Morales, a 43-year-old documented gang member. CWBChicago's original report follows. A would-be home invader is dead, accidentally shot by his accomplice on the front porch of the home they were targeting in Lincoln Square on Tuesday evening, according to police and sources. No residents were injured. The gunman remains at large. At 9:50 p.m., two masked men were confronted at the front door of a home at 2424 West Eastwood by several family members who live at the address, police said. At some point, one of the offenders pulled out a gun and shot at the residents, but he missed and fatally shot his accomplice in the head. The home’s occupants retreated to a bedroom closet and called police saying four shots had been fired. The 43-year-old dead man was identified by a police source as Luis Morales, a documented gang member. Please support CWBChicago by subscribing for just $1 a week. Click here. 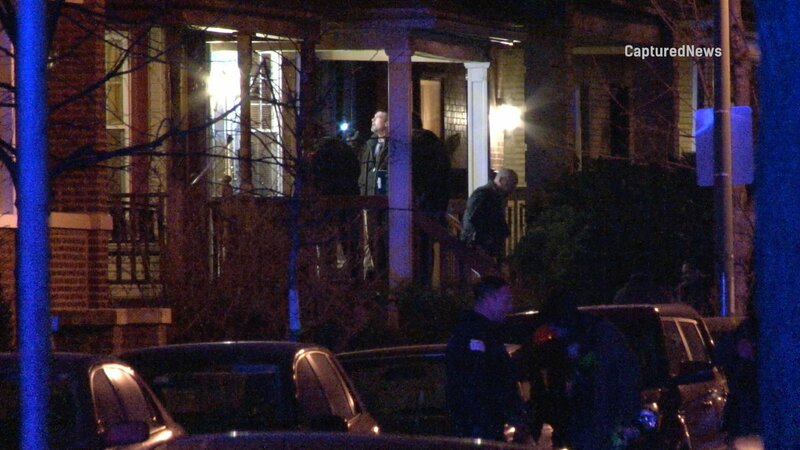 As the accomplice lay dying on the family’s front porch, the gunman fled westbound on the north side of Eastwood. He was described as a white or Hispanic man, 5’8” tall, 180-200 pounds, wearing a black beanie hat, a black hoodie, and jeans. Before midnight, a police dog was seen searching the area, but the shooter remained at large. A source reported that the family has lived in the neighborhood for years and even owned a nearby restaurant at one point. It was unclear if they continued to operate the business.